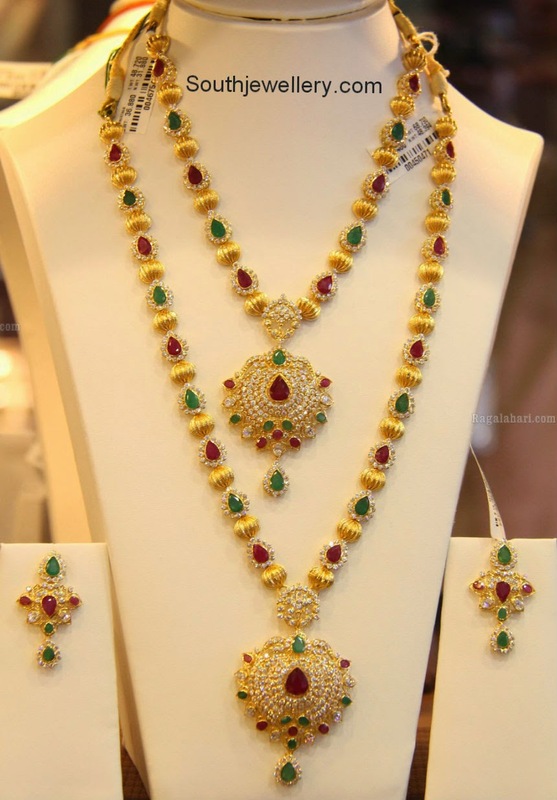 Three step pachi floral diamond necklace studded with diamonds, rubies and emeralds and long diamond haram with pendant and matching earrings. 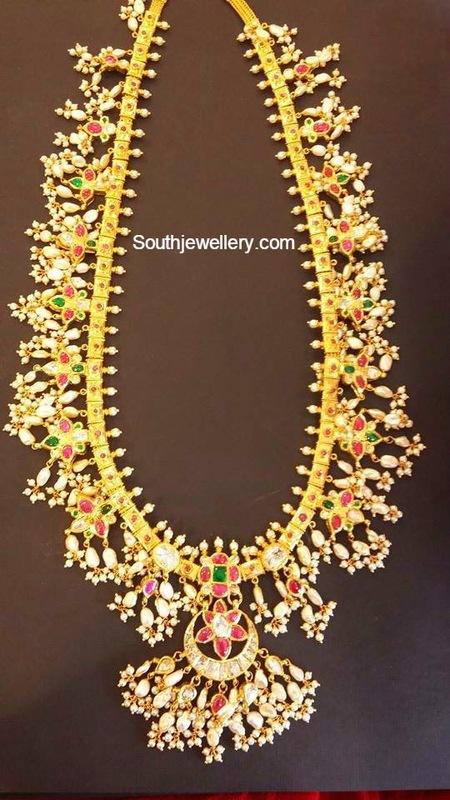 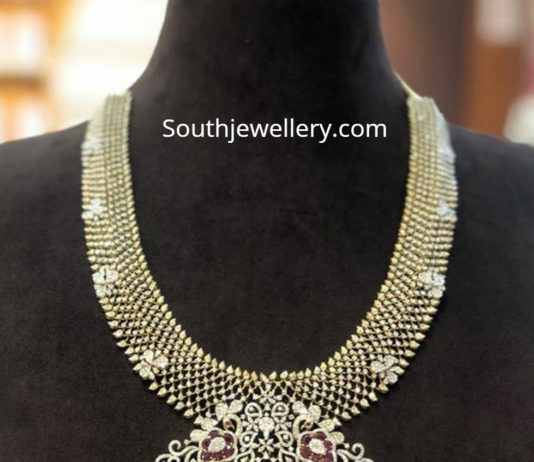 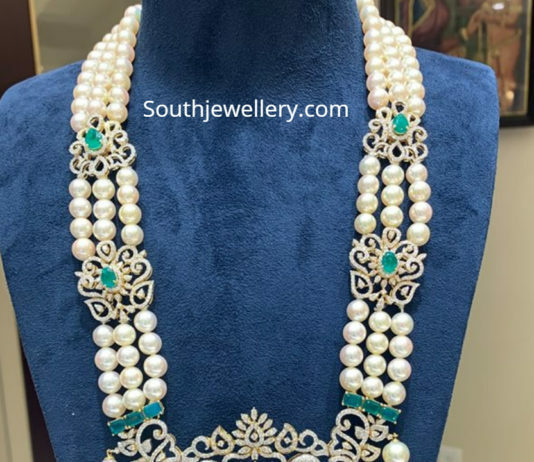 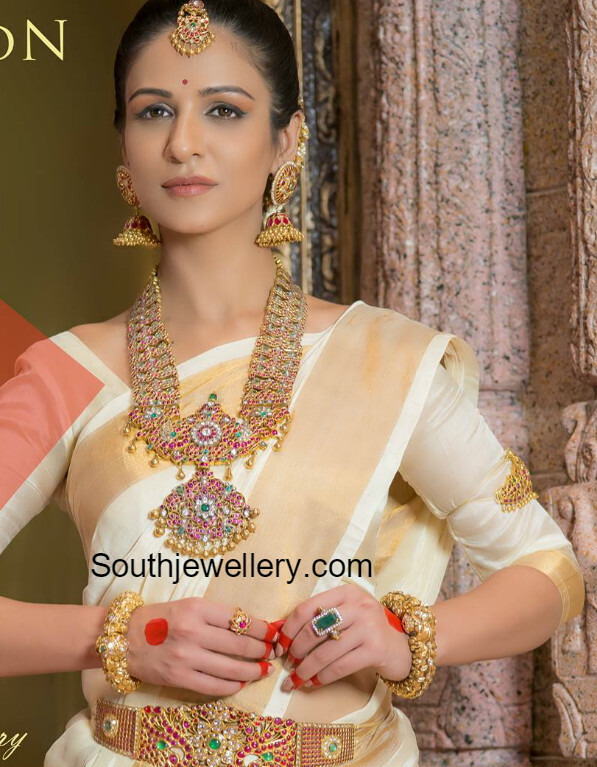 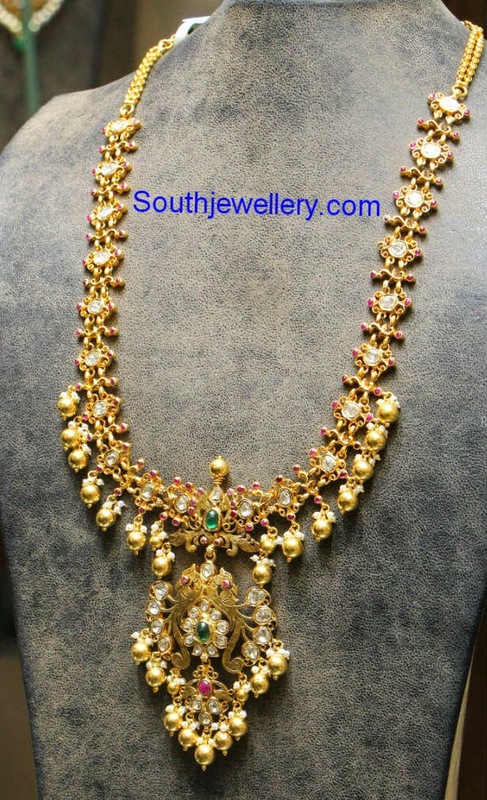 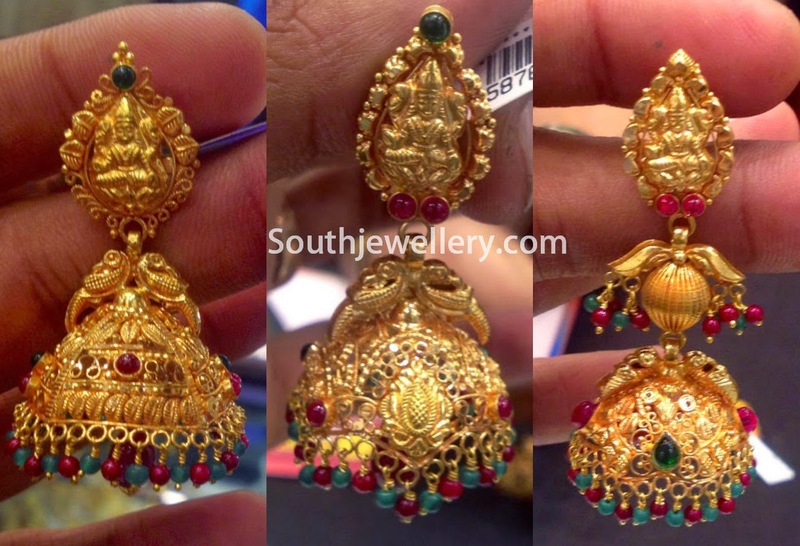 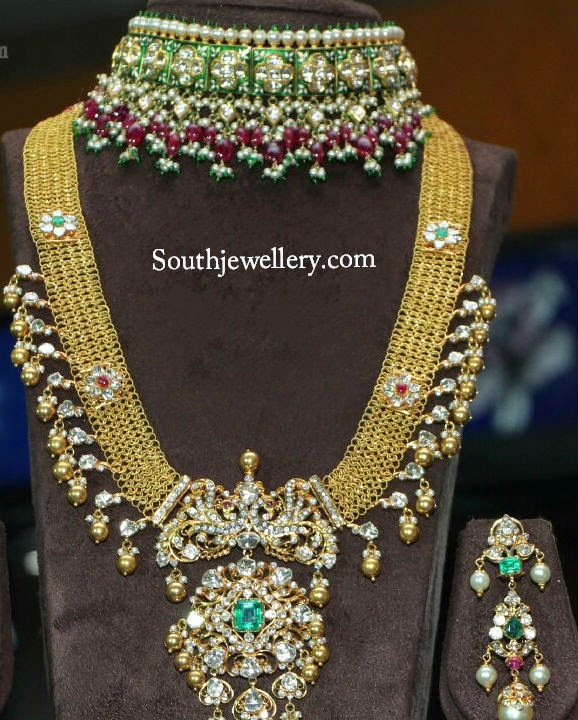 Matching necklace and long chain set strung with gold balls, ruby emerald motifs studded with diamonds and attached diamond pendants, teamed up with suitable earrings from Subham Jewellers. 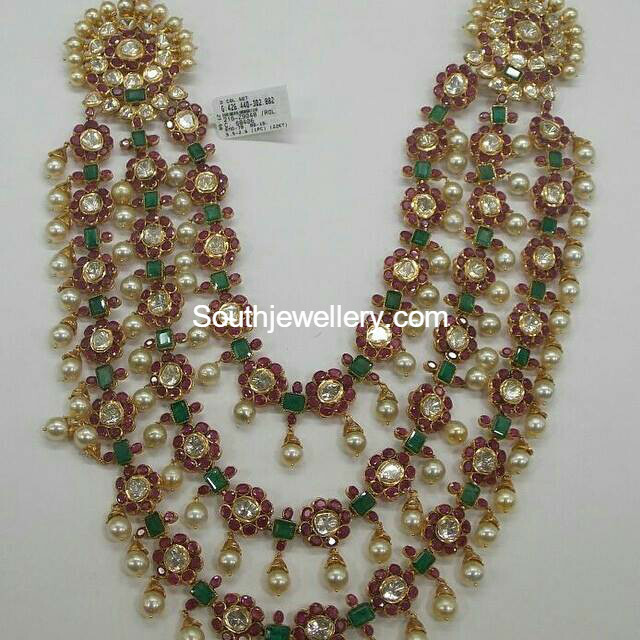 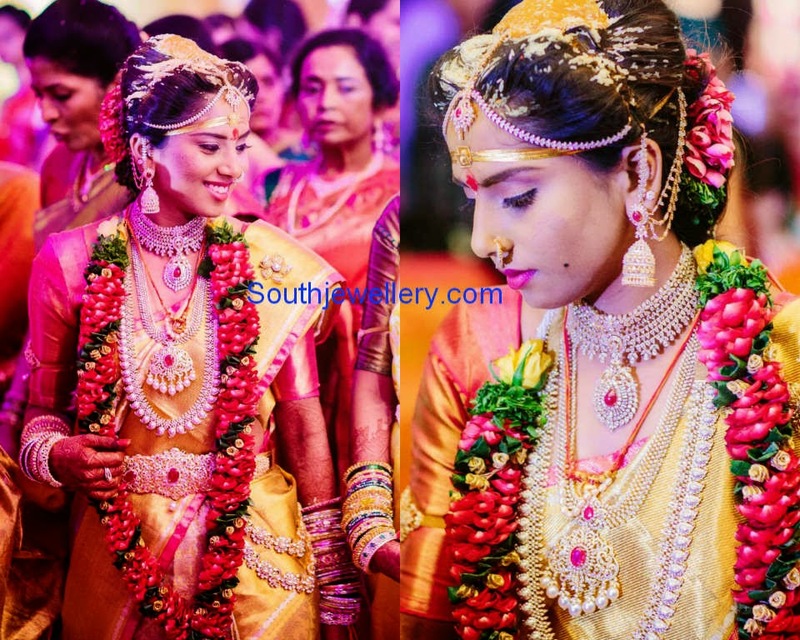 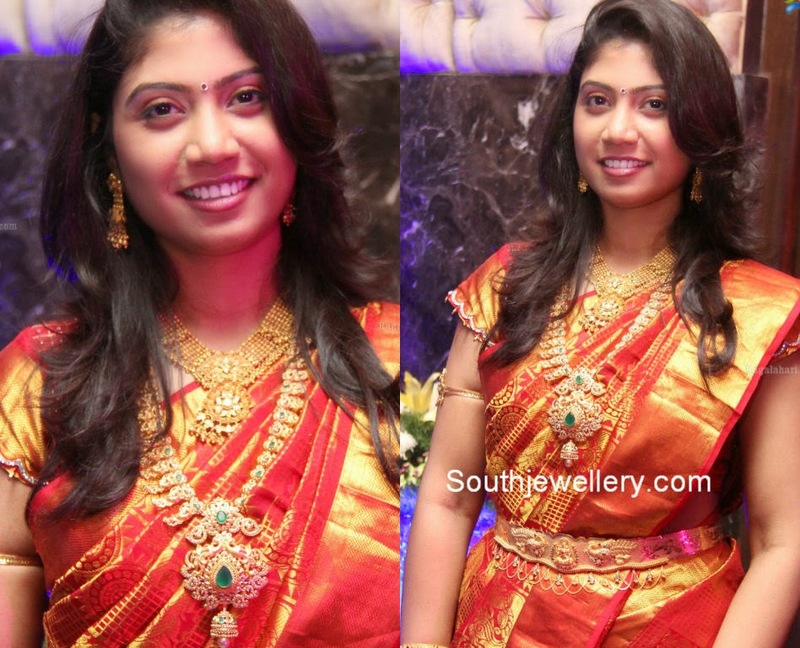 Socialite in broad gold necklace studded with kundans and long diamond haram studded with diamonds and emeralds. 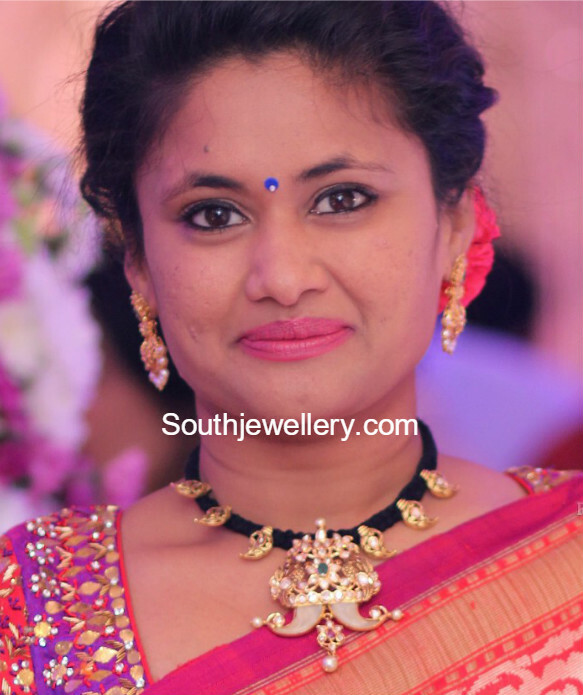 Sravanthi Chukkapalli in a black dori necklace featuring mango motifs and pacchi puligoru pendant.